Mobile is having an enormous impact on today’s search and paid-search advertising. A recent report revealed that smartphones and tablets are expected to generate 25 percent of all Google’s paid search clicks in the U.S. by the end of 2012. It also estimated that mobile advertising campaigns would comprise 23 percent of Google’s U.S. paid search spend during that same time frame. 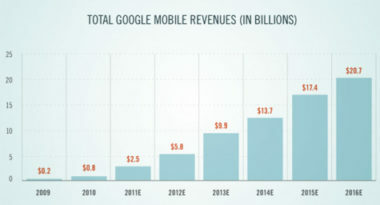 SearchEnglineLand.com offered details on the incredible momentum of mobile search advertising. These results came from “The State of Mobile Search Advertising” report by Marin Software. The report is based on a financial industry forecast of Google’s mobile reviews through 2016 and revealed that mobile search advertising will have a predominant influence on the company’s ad revenue growth in the coming years. 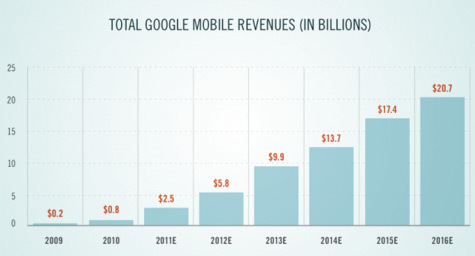 It also indicated that tablets are predicted to play a major role in mobile paid-search advertising. Marketers are advised to allocate a portion of their search budgets toward tablets due to its rapidly increasing popularity among consumers. According to the report, CTRs were higher and CPCs were lower on mobile devices, yet mobile conversions were not as strong. The reason that mobile conversions did not appear as solid may be because tracking from smartphones is still a work in progress. In fact, most mobile search leads to conversions either in the actual store or via telephone. These are difficult to factor into the conversion funnel. Marketers are advised to gauge their mobile-driven revenue by using mobile advertising formats that include store-locator and click-to-call features. Then, it’s possible to combine the average conversion rate for in-store and phone-based transactions with the average revenue per transaction to estimate a revenue per click for mobile devices. This data will allow for mobile CPCs and budgets to be adjusted to reflect the growing impact of mobile search advertising. To learn how to leverage the power of mobile search advertising in your marketing strategy, contact MDG Advertising today at 561-338-7797, or visit mdgadvertising.com.